Just off the Horn of Africa lie the Island of Socotra, the Yemeni island described as “the most alien-looking place on Earth”. Part of an archipelago between the Horn of Africa the Arabian Gulf, the island of Socotra has lied isolated for so long that of the plants and animals on it can not be found anywhere else on Earth. 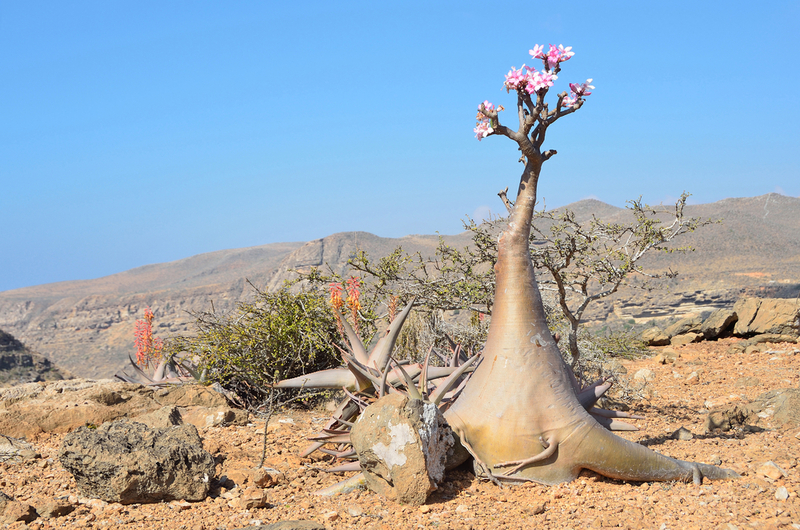 In fact, Socotra has 700 endemic species that have never been seen outside of the island. A survey conducted by the Centre for Middle Eastern Plants showed that 307 out of the 825 (37%) of all plant species on Socotra are endemic. The cucumber tree is only found on the island of Socotra. One of the most astonishing plants on the island is the umbrella-shaped dragon’s blood tree. Its red sap was believed to be dragon’s blood by its ancient inhabitants, and is today used for dye and paint. Other native flora not found anywhere else are the Dorstenia gigas, the Dendrosicyos socotranus (known as the cucumber tree), the rare Socotran pomegranate (Punica protopunica), Aloe perryi, and Boswellia socotrana. 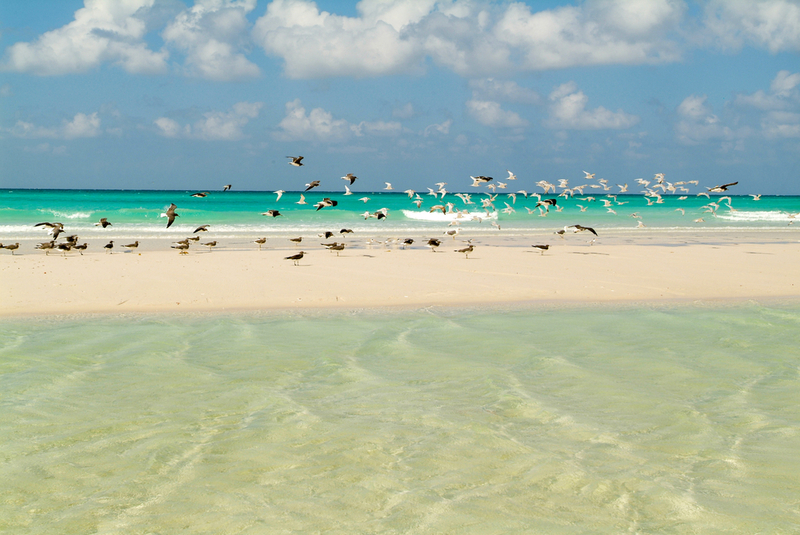 Birds at the beach of Qalansiya on the island of Socotra. 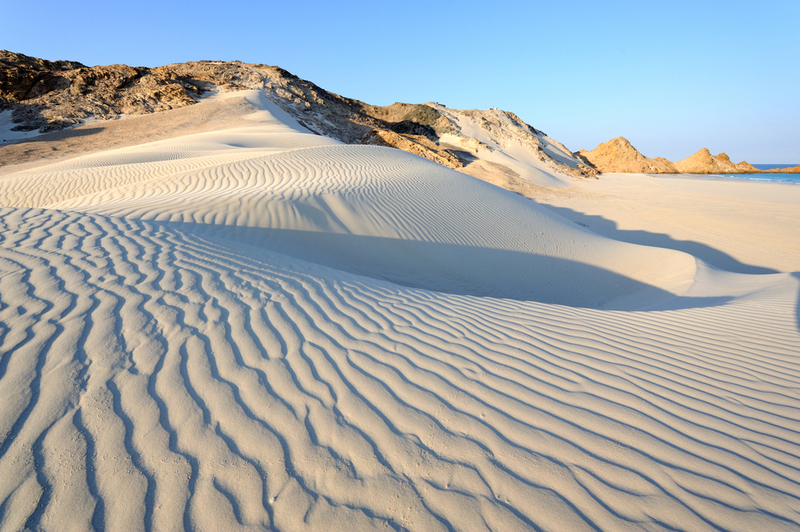 The island’s endemic fauna communities include birds like the Socotra starling (Onychognathus frater), the Socotra sunbird (Nectarinia balfouri), Socotra bunting (Emberiza socotrana), Socotra cisticola (Cisticola haesitatus), Socotra sparrow (Passer insularis) and the Socotra golden-winged grosbeak (Rhynchostruthus socotranus). 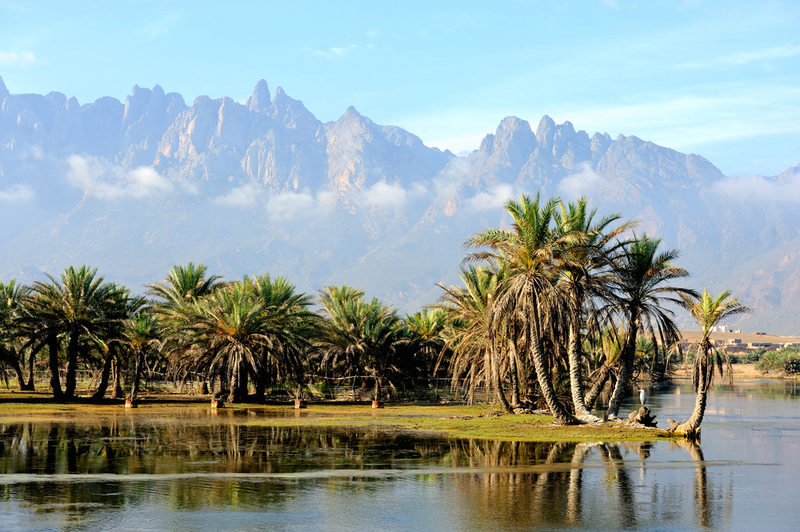 In ancient times, Socotra was attached to Africa, making it the largest isolated island with continental origins. This also makes it of non-volcanic origin, unlike most large islands found in the middle of oceans. Sand dunes touching rocky cliffs. Geologically,the island is home to a range of terrains, from narrow coastal plains and mountains, to a limestone plateau permeated with karstic caves. It has tropical desert climate, and has tropical oases scattered across it. Small oasis in Socotra Island, Yemen. Since July 2008, the Island of Socotra has been recognized by the United Nations Educational, Scientific and Cultural Organization (UNESCO) as a world natural heritage site. The decision was backed by the European Union, who called on UNESCO and the International Organisation of Protecting Environment to classify the island archipelago among the environmental heritages.